LAGA is an innovative and award winning non-governmental organisation focusing on wildlife law enforcement in Cameroon. LAGA works with government authorities to capture and prosecute dealers in protected wildlife species, especially those trading in bushmeat and ivory. It was founded by the charismatic and unstoppable Ofir Drori in 2002 and has been supported by Born Free ever since. From a baseline of zero prosecutions under Cameroon’s wildlife law before LAGA began its work, each week now sees the arrest of an illegal wildlife dealer and around 87% of these are placed behind bars from the moment of arrest, with no bail granted. Prosecutions have reached the maximum jail term allowed under Cameroonian law and damages awarded have reached more than $100,000. Information regarding LAGA’s law enforcement work is disseminated through TV, radio and written press at an average of one piece a day. The model which Ofir and his colleagues have developed, and which is spreading across the continent is considered by many to be one of the most important developments in conservation in the last decade. 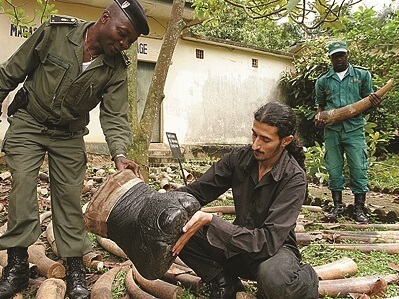 By exposing previously unpublicised wildlife crime and corruption, LAGA highlights the use of law enforcement as a deterrent to poachers and dealers, while educating the public about wildlife conservation. With activities ranging from undercover investigations through to arrests, prosecutions and media follow-up, LAGA’s comprehensive work-plan requires significant funds to maintain the high level of activity that it has achieved to date. Help LAGA bring about effective wildlife law enforcement in West Africa. 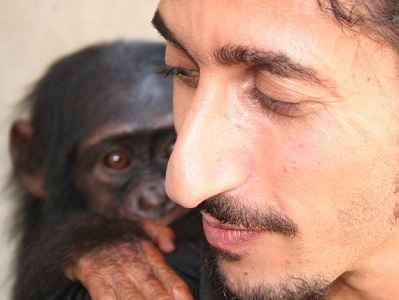 Born Free talks to Ofir Drori, Founder of the Last Great Ape Organisation (LAGA). Born Free has supported this project since 2004.